Several weeks ago, Medicare launched an initiative to prevent seniors and people with serious disabilities from developing Type 2 diabetes, one of the most common and costly medical conditions in the U.S. 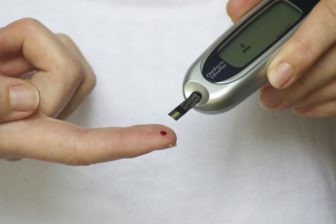 But the April 1 rollout of the Medicare Diabetes Prevention Program, a major new benefit that could help millions of people, is getting off to a rocky start, according to interviews with nearly a dozen experts. In all but a few locations, experts said, Medicare’s new prevention program — a yearlong series of classes about healthy eating, physical activity and behavioral change for people at high risk of developing diabetes — isn’t up and running yet. And there’s no easy way (no phone number or website) to learn where it’s available. A Medicare spokesman declined to indicate where the diabetes program is currently available, saying only that officials had approved three providers to date. In a first for Medicare, community organizations such as YMCAs and senior centers will run the program, not doctors and hospitals. But many sites are struggling with Medicare’s contracting requirements and are hesitant to assume demanding administrative responsibilities, said Brenda Schmidt, acting president of the Council for Diabetes Prevention and chief executive officer of Solera Health, a company that assembles provider networks. Medicare Advantage plans, an alternative to traditional Medicare run by private insurance companies, are now required to offer the Medicare Diabetes Prevention Program to millions of eligible members. But they aren’t doing active outreach because there are so few program sites available. It’s “too early” to discuss how Medicare Advantage plans will handle implementation given uncertainty about the program’s accessibility, Cathryn Donaldson, director of communications for America’s Health Insurance Plans, said in an email. Supporters urge patience. While Medicare’s embrace of diabetes prevention is “transformational,” building an infrastructure of community organizations to deliver these services “hasn’t been done before. It’s going to take time,” said Ann Albright, director of the Division of Diabetes Translation at the U.S. Centers for Disease Control and Prevention. In a written comment, a spokesman for the Centers for Medicare & Medicaid Services said about 50 of more than 400 eligible programs are in the process of submitting applications. An online resource identifying approved programs is under development, and outreach to people with Medicare coverage is “planned for the coming months,” the statement said. For those who want more timely information, here’s a look at the Medicare Diabetes Prevention Program and why it’s worth waiting for, even if it takes awhile for a program to become available near you. Diabetes and older adults. According to the CDC, at least 23 million people age 65 and older have “prediabetes” — elevated blood sugar levels that put them at heightened risk of developing Type 2 diabetes. In five years, without intervention, up to one-third of this group will develop Type 2 diabetes — a leading cause of blindness, amputation and kidney disease in older adults, associated with a heightened risk of heart disease, stroke and dementia. Program eligibility. The Medicare Diabetes Prevention Program is available to older adults and people with serious disabilities with Medicare Part B coverage who have prediabetes — and it’s free for those who qualify. Once the program becomes available in your area, your doctor can refer you or you can sign up on your own, so long as you have a body mass index of at least 25 (or a BMI of 23, if you’re Asian), you haven’t been previously diagnosed with diabetes, and your blood sugar levels are consistent with prediabetes. This benefit is available only once to each qualified Medicare beneficiary, so it behooves you to make sure you’re ready for the commitment it entails. “The purpose of this should be to improve your health and quality of life, long term, not to lose vanity pounds,” said Marlayna Bollinger, executive director of San Diego’s Skinny Gene Project, which works with people at risk of developing diabetes. Evidence of effectiveness. 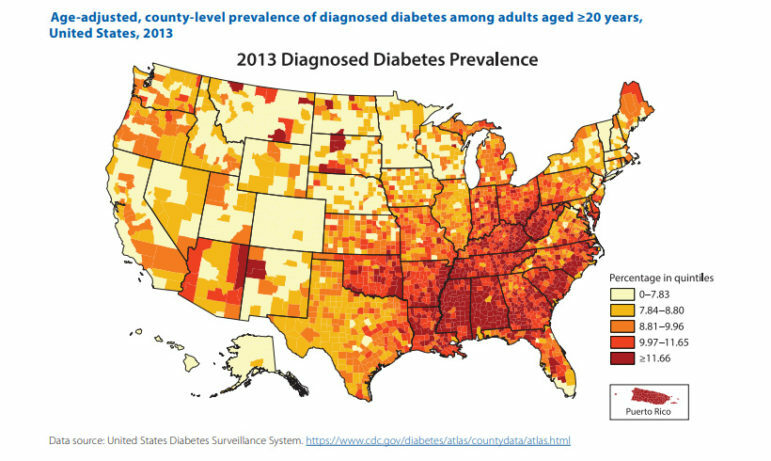 Medicare is tweaking the National Diabetes Prevention Program, launched by the CDC in 2010. In a much-cited 2002 study published in the New England Journal of Medicine, researchers found that participants in an early version of the CDC program were 58 percent less likely to develop diabetes than a placebo group. For people 60 and older, the reduced risk of developing diabetes was even more striking — 71 percent. Medicare’s model. Small groups of about eight to 20 people meet weekly, for about an hour, 16 times over a six-month period, then once or twice a month for the next six months. Nutritionists, diabetes educators or other coaches use a structured CDC-approved curriculum and foster group discussion and problem-solving. Participants check their weight at each session and keep daily logs of what they’re eating and their physical activity. The goal is to have participants lose at least 5 percent of their body weight and get 150 minutes of physical activity weekly. “The objectives are very realistic and that increases the likelihood of success,” said Kathleen Stanley, Baptist Health’s coordinator for diabetes education and prevention. A four-year pilot program involving nearly 8,000 seniors in 315 locations, sponsored by Medicare and coordinated by YMCA of the USA, found that savings were significant: an estimated $2,650 over the course of 15 months for each participant. Medicare will pay up to $670 per participant for the two-year period if programs meet performance standards relating to weight loss and attendance. If not, payments are lower. For the moment, Medicare doesn’t plan to work with companies such as Omada Health Inc. or Canary Health that offer online versions of CDC’s Diabetes Prevention Program. But advocacy groups are pressing for this alternative to in-person classes. “Virtual delivery of the diabetes prevention program would be a great option, particularly for seniors in underserved areas,” said Meghan Riley, vice president of federal government affairs for the American Diabetes Association. Next steps. YMCA of the USA is among several organizations that plan to participate in the Medicare Diabetes Prevention program but are adopting a cautious approach. “We’re still digging through Medicare rules and regulations and trying to make sure we understand the implications,” said Heather Hodges, the Y’s senior director of evidence-based health interventions. Albright said the CDC was asking state health departments and 10 national organizations, including the American Diabetes Association, the National Alliance for Hispanic Health and Black Women’s Health Imperative, to promote the new Medicare benefit. Once Medicare publishes a list of programs that its officials have approved, CDC will highlight this online, she said. Angela Forfia, senior manager of prevention at the American Association of Diabetes Educators, suggested that older adults contact their local Area Agency on Aging, local health departments and senior centers in their area and express interest in the Medicare Diabetes Prevention Program. “If Medicare recipients start to demand and ask for this, you’ll have more organizations step up and sign on to become Medicare suppliers,” she suggested. This story was first published April 19, 2018, by Kaiser Health News (KHN), a national health policy news service. It is an editorially independent program of the Henry J. Kaiser Family Foundation which is not affiliated with Kaiser Permanente.